Straight Out Of Flint: Girl Boxer Aims For Olympics A 16-year-old from Michigan named Claressa Shields is the youngest fighter competing for a place on the first-ever U.S. Olympic women's boxing team. She's facing fighters almost a decade older and much more experienced — but she's beaten the odds before. The world's top athletes head to London to compete in more than 30 Summer Olympics sports. 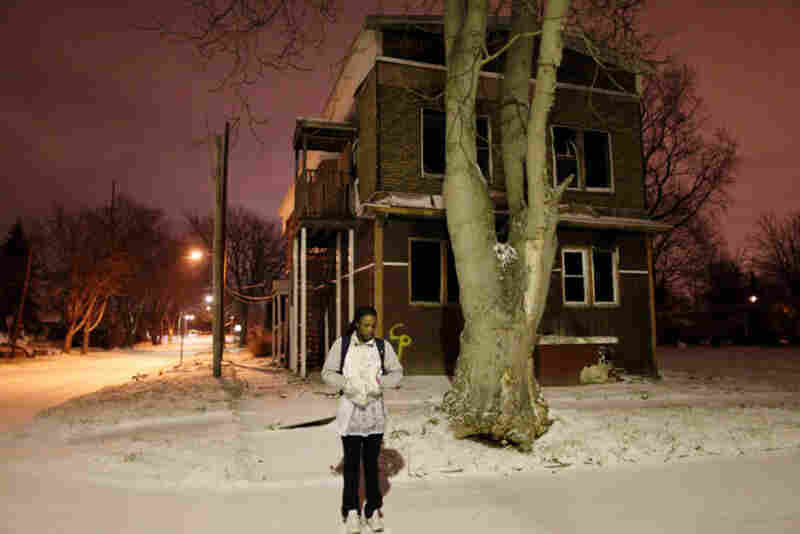 Aspiring Olympic boxer Claressa Shields, 16, waits in front of an abandoned house for the morning school bus in her hometown of Flint, Mich.
"Everyone knows I box," Claressa says of her Northwestern High School classmates. "Once I came to school with a black eye and everyone was like, 'Wow!' "
An honors student, Claressa says, "I really do put an effort into my classes. You have to stay focused. It only takes one time to slip and do anything crazy. Like you want to go out and drink and stuff. That's why I stay in the gym 24-7." Looking for more structure in her life, Claressa moved in with her aunt and now shares a room with her three younger cousins and her brother. "They have to look at me like their sister," Claressa says of the boxers she trains with. "No dating or you get put out of the gym. You don't want to mix biz with pleasure." Claressa prepares for her first fight against top-ranked middleweight Franchon Crews during the first-ever U.S. Olympic team trials for women's boxing, held in Spokane, Wash., earlier this month. "When I get in the ring, it's like I am getting in there with myself. I don't think I've figured out how to beat myself yet, because I keep getting better," says Claressa (left). She won all her fights in Spokane and was named "Most Outstanding Boxer." She must place in the top eight at the May Women's World Boxing Championship to make the Olympic team. 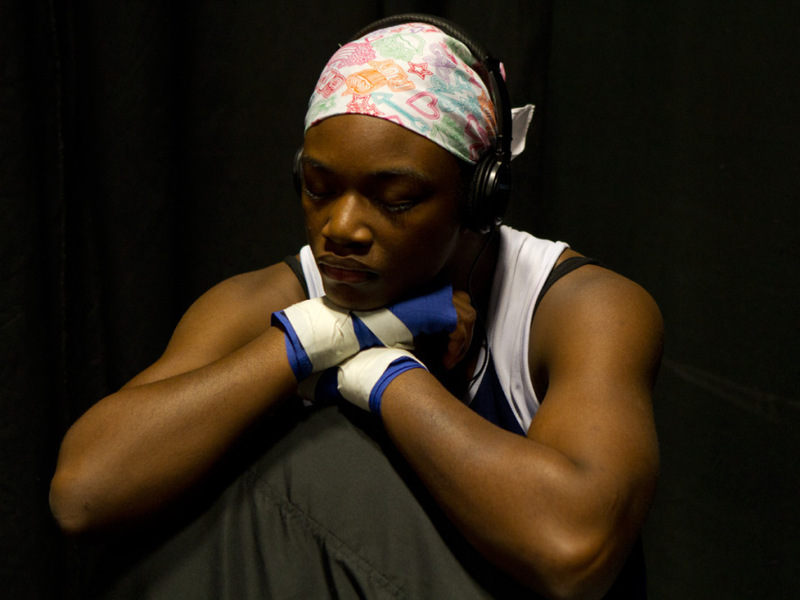 Sixteen-year-old Claressa Shields has a dream. She's in London, at the Olympic finals for women's boxing, when the announcer calls out, "The first woman Olympian at 165 pounds — Claressa Shields!" 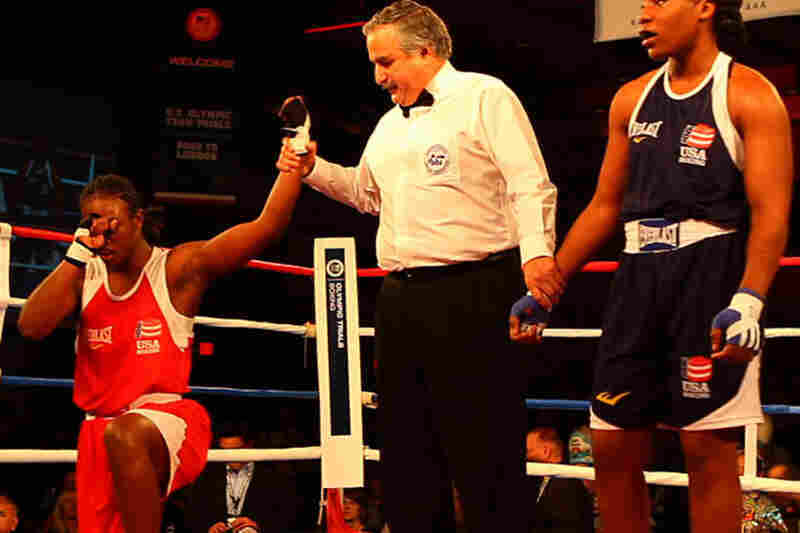 Claressa, a high school student and middleweight boxer from Flint, Mich., is the youngest fighter competing for a place on the U.S. Olympic women's boxing team. Boxing has been an Olympic sport since the ancient Greeks, but this year, for the first time in history, female boxers will step into the ring to compete at the 2012 Summer Olympics. Earlier this month, Claressa joined 23 of the country's best amateur female boxers at the Olympic team trials in Spokane, Wash., to compete for three spots on the inaugural team. 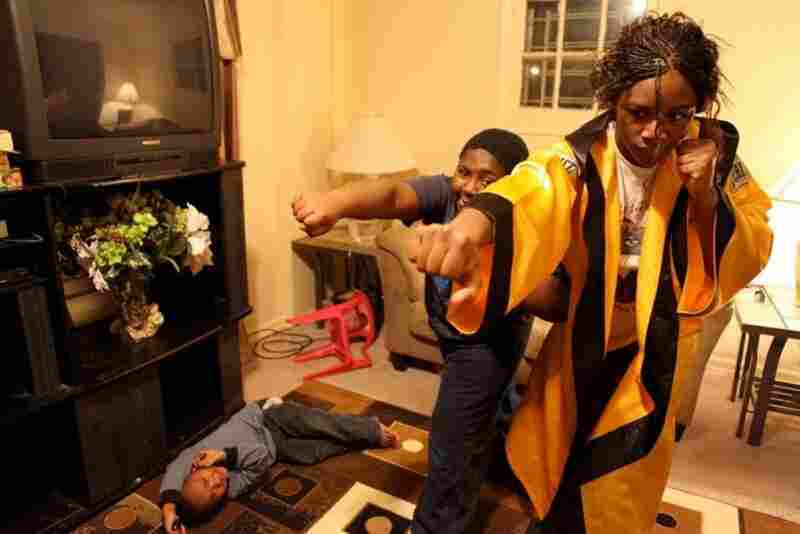 "Before boxing, I wanted to have 10 kids by the time I was 25. 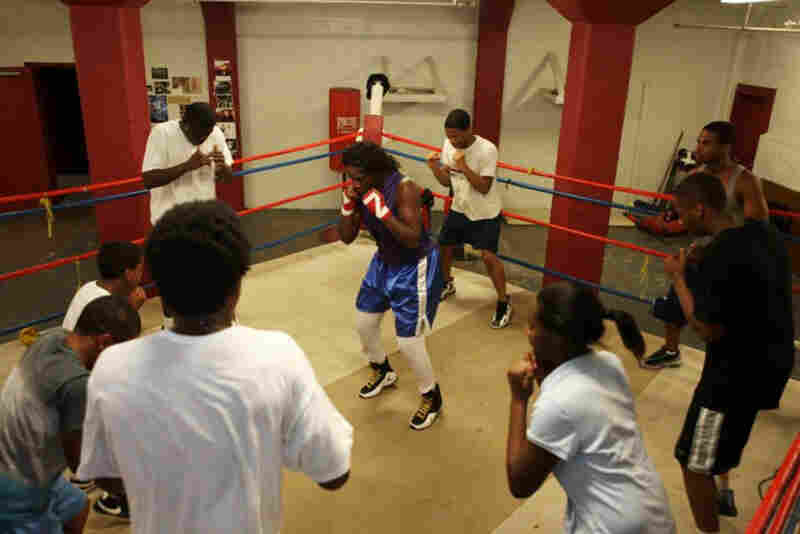 Now, my goal is to get this gold medal, go pro and be a world champion," says aspiring Olympic boxer Claressa Shields, 16. Claressa is undefeated — she has a 19-0 record — but in Spokane, at the biggest matches of her life, she faced women almost a decade older and much more experienced. But Claressa Shields has beaten the odds before. Claressa attributes her start in boxing to her father, Clarence Shields, an amateur underground boxer who was nicknamed "Cannonball" because of his fast, hard punches. Clarence went to prison when Claressa was 2 and didn't come out until she was 9, but Claressa clearly remembers the stories her father shared from his fighting days. When Claressa first asked Clarence if she could box, he told her that boxing was a man's sport. "That made me so mad," Claressa recalls. But she wouldn't give up on the idea, and when she was 11 years old, her father finally brought her to the gym. "I'm going to be honest, my first thought was you would get beat up and quit," her father tells her. But Claressa proved him wrong. "I'm still proving people wrong," she says. For Claressa, the gym is a beautiful place. As soon as she walks through the door, she says the stress of the outside world melts away. "If they would let me live there, I would." Stepping inside the ring, meanwhile, is like entering a different dimension. "It's like everything outside the ring's black," she says. "Can't nobody else get in there and help you. Your coach, he can't get in the ring and fight with you. You don't have your dad, your mom. When you get in the ring, you don't have anybody but yourself." Claressa's coach, Jason Crutchfield, says he first noticed her determination and aggressive, fast punches a week after she came to his gym. "A coach always wants a champion; that's why we coach," Crutchfield says. "I just never thought it was going to be a girl." Claressa and Crutchfield have an almost father-daughter relationship. Sure, Claressa is a fierce competitor, confident and determined; but she's also a teenager. When a phone call from an admiring boy interrupts practice, Crutchfield is quick to remind her to stay focused. "You got all your life for boys," he says. "This is a once-in-a-lifetime thing right here." It's a once-in-a-lifetime thing for Claressa and for Flint, a town infamous for poverty, staggering unemployment and violent crime. Crutchfield says he sees Claressa's success as a chance for Flint to turn that reputation around and boost morale. "This will show them that, through all that, something good came out of Flint: Claressa Shields." Claressa Shields did show them. At the Spokane Olympic trials, the "16-Year-Old Sensation" fought a week of tournaments in which she bested each of her opponents. In the Feb. 18 finals, she faced two-time national champion Tika Hemingway. At stake was a spot on the first-ever U.S. Olympic women's boxing team. After four punishing rounds, Claressa defeated Hemingway by a score of 23 to 18. Claressa will move on to the Women's World Boxing Championship in China, where the best female boxers in the world will fight for the top eight spots — and a chance to make history at the 2012 Summer Olympics. Produced by Joe Richman, Sue Jaye Johnson and Samara Freemark of Radio Diaries and edited by Deborah George and Ben Shapiro. This story is a collaboration with WNYC's Women Box project. 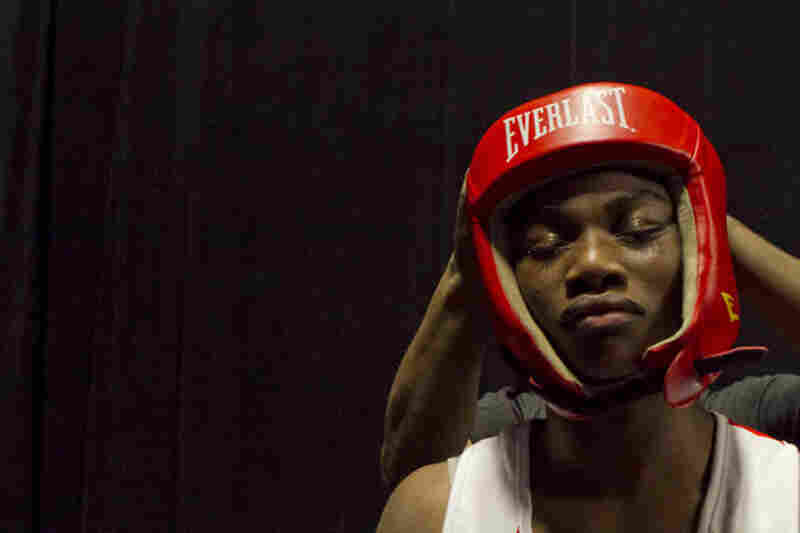 See more of Sue Jaye Johnson's work on female boxers in The New York Times Magazine.